Ever since DEA agent Alexander Cobb gave Jodie Clayburn a Texas-size brush-off, they’ve been sworn enemies. When he pushed Jodie out of his life, he told himself he was doing the right thing. But eight years later, this cynical Texan can’t believe the baby-faced schoolgirl has turned into such a beauty. Or that he’d have to beg her to help him crack a drug-smuggling case that threatens Jacobsville. Tantalized to the core, Alexander would risk everything to protect her. In a hot pursuit, the two are drawn closer together. 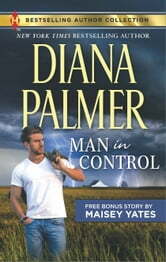 Will the man in control finally get caught in his own web of danger…and desire?